Pitched as the ultimate health and fitness coach, the Apple Watch was unveiled this past – with familiar flourish. Apple’s first wearable is preloaded with fitness tracker apps, like Activity which measures how long you sit, stand, and move throughout the day. The display shows three rings that disappear when a fitness goal is accomplished. These goals include moving above a brisk walk for 30+ minutes, burning off a predetermined amount of calories, and standing for a single minute each hour for 12 hours. In direct competition with the already crowded fitness tracker marketing, Apple pulled almost all its competitors – including Nike+ FuelBand and Jawbone Up – from its online and retail stores. But, is the device too late to the game? As with any Apple product, the Watch combines a number of top-level specifications, including a sapphire display, NFC, and Apple Pay among many others. Requiring both an iPhone 5 and $350, the Apple Watch goes on sale April 24. However, if patience is not your forte, a cheap knockoff is already being sold on the Black Market in China. Is your privilege going to waste? Are you maximizing your privilege capacity on a daily basis? If the answer is no, we have the solution for you. 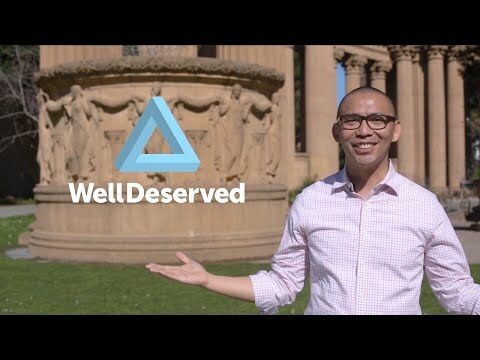 WellDeserved is the premier marketplace for privilege, where people can eliminate the waste of unused privilege, create new liquidity, and increase market efficiency. The creation may be a spoof of the startup world, but the commentary is real. WellDeserved is the newest winner of Comedy Hack Day, a weekend-long hackathon that brings together comedic talent and developers to create unique and hilarious apps. Offering free online courses from the world’s best universities, edX has partnered with numerous institutions and organizations to teach eager learners everything from biology and business to literature and law. Past partners include the International Monetary Fund, the Linux Foundation, the Smithsonian Institution, and even Google. Currently, the seven courses open for enrollment span the spectrum of expertise level, from basic intro to Office 365 APIs to programming with C# and fundamentals of Windows PowerShell. If you’re interested, sign up quickly. The first classes start as soon as the end of this month. Following the mass outpouring of outrage in response to the poor service brought on by the unprecedented onslaught of snow this winter, the board that oversees the Massachusetts Bay Transportation Authority met on Wednesday to approve a solution. On April 24, all rides on the MBTA are free. What’s more, MBTA monthly and weekly passes will be subjected to a 15% discount in May. “We heard loud and clear after our last meeting that people felt that they were owed some program that acknowledged what they had gone through and that expressed appreciation,” said Transportation Secretary Stephanie Pollack, one of the seven members of the Massachusetts Department of Transportation board of directors. However, this gesture of goodwill is estimated to cost the T $5 million, at a time when budget is tighter than ever.